Mary Louise Greenhouse Brown obituary. Carnes Funeral Home. Mary Louise Greenhouse Brown began her life journey on October 9, 1952 in Pineville near Marksville, Louisiana when she was born to the late Lennox G Greenhouse, Sr. and Audrey Neco Greenhouse. She attended Lincoln High School and graduated with honors from La Marque High School in La Marque, Texas in 1971. She attend the University of Texas at Austin, married, and had her first child, Stephanie, in 1973. 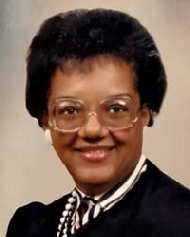 She later joined the United States Air Force to study aircraft electrical repair; graduating with honors from tech school in 1975 and had her second child, Yvonne, in 1976. After her honorable discharge from the Air Force, she spent time as a military wife and homemaker raising her family both stateside and abroad. Blessed with creativity, she opened her own store “The Floral Art Company” in Oscoda, Michigan, which specialized in floral arrangements, various confections, and gifts for special occasions. Mary’s faith grew stronger in the Lord. In 1987 she was appointed Eucharistic Minister in the Archdiocese for the Military Services. She became a catechism and religious education teacher in 1988 for Sunday school where she taught biblical studies to a class of approximately 25-30 students. She moved back to Texas near the location of her parents and younger sister, Tina, in the early 1990’s. Mary loved music and her hobbies included writing out her thoughts, designing homes and gardens, playing trivia games with her family and putting together formal dinners and celebrations. Mary went to be with the Lord the morning of November 6, 2016 in Pasadena, Texas. She leaves to cherish her memories: her daughters, Stephanie Brown and Yvonne Brown; her sister Tina McCloud (L J Kelly); her brothers Lennox Greenhouse, Jr. (Sharon) and James D. Greenhouse; her grandchildren Asia Booker and Malik Booker; her great-grandchildren Adrianna Booker, Nicole Booker, and Jordan Booker; her two nieces Deidera Richardson and Keya McCloud-Pigott, great-nieces, and a host of other family members and friends.